Glyph Game - Glyph Game is a great game you can play free. 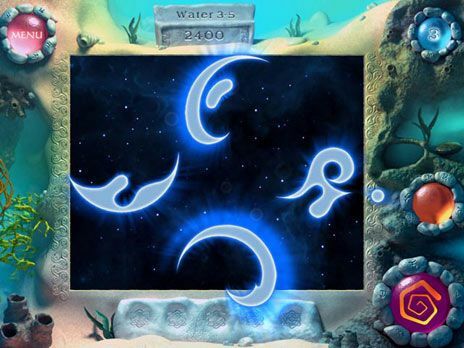 Glyph free game is one of more than 400 free Games you can download at Free Ride Games, Save a dying world by assembling ancient glyphs in this epic puzzle adventure. Harness the powers of Wood, Fire, Water, Metal and Aether as you explore 255 dazzling levels in 5 different worlds. Help heal the land in Quest Mode and try Action Mode for an even greater challenge. Download Glyph for FREE and enjoy: * Save the world in Quest or Action mode. * 255 custom levels in 5 unique environments. * Assemble the Glyphs in unique bonus levels. * 14 in-game artifacts assist in your journey. Free Ride Games is the only place where you can download over 300 top games for free, including Hidden Object games, Time Management games, Match Three games, Sports games, Puzzle games, Arcade games, Card games, Board games, Flash games, Fashion games, Food games, Online games, Word games and many more. We have hundreds of choices from the leading game publishers like iWin, PlayFirst, Sandlot Games, Mumbo Jumbo etc. Download Glyph free game and play it now.